I manage and run a Youtube Channel for Tiltmode. Some videos are coordinated with brands, sponsors and companies to promote skateboard athletes and bring brand awareness to viewers. Some videos are made just for fun and are strictly for entertainment purposes. 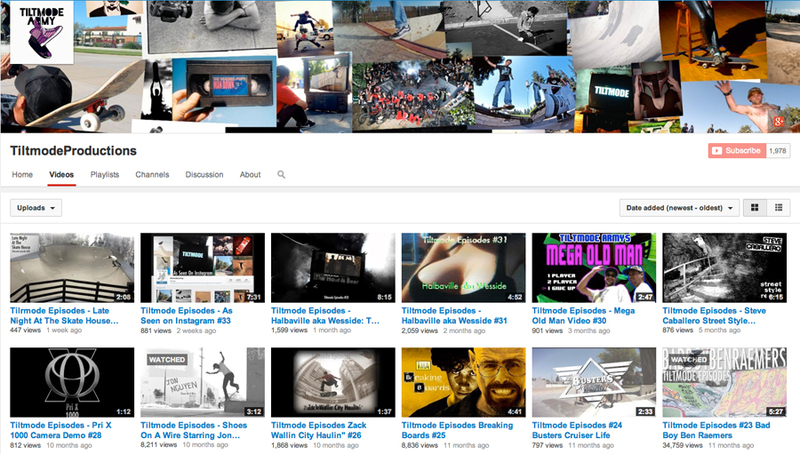 The Tiltmode Youtube channel helps grow viewers and brings a constant stream of video content to the Tiltmode website. The site is partnered with Fullscreen. The following video is a piece done for Jason Adams’ Lost Highway brand made to bring brand awareness to his website.